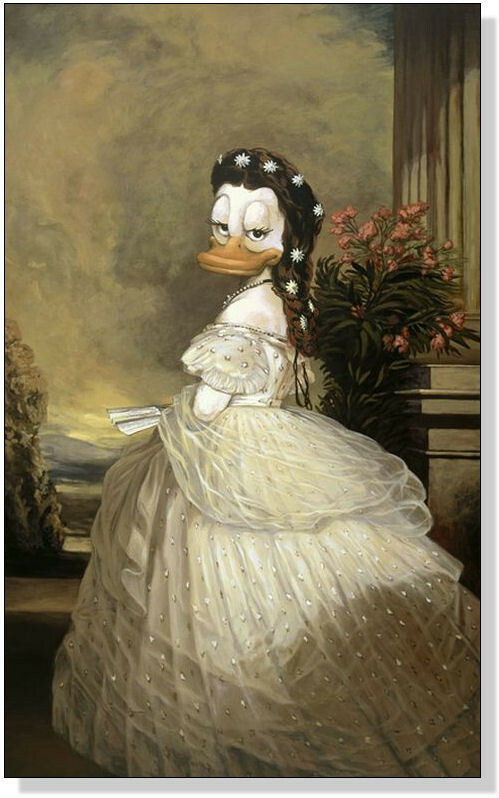 The portrait artist, Franz Xaver Winterducker, liked to tell people about the time Empress Elisabeth stood on a chair for this portrait to make the most of her favorite frock. 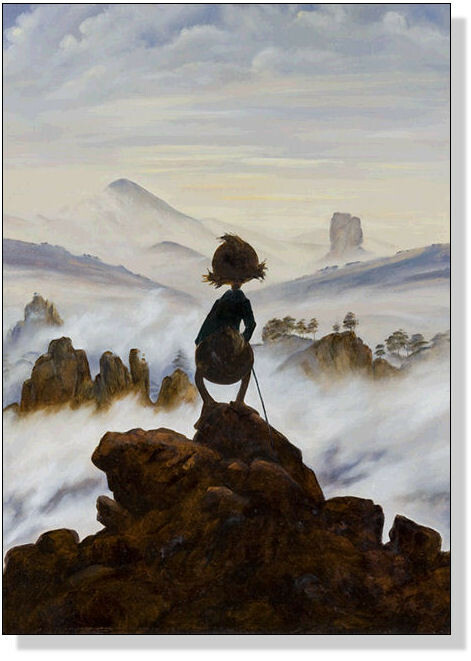 The painter then realised a number of variations on this theme for different, well-paying clients. He took the mystery of which portrait was the real one with him to the grave. 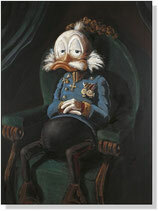 He was known as the fairytale emperor as a young man. Later, the burdens of governing took their toll. How he managed to find time to sit for this portrait remains a mystery. Not much is known about duck family life. 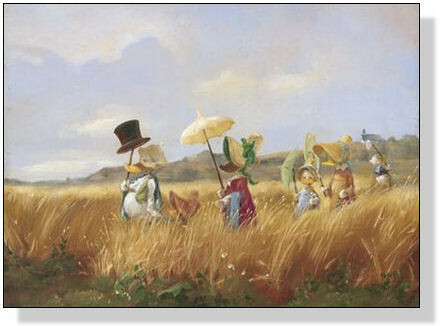 This piece, by Carl Spitzmouse, provides a glimpse therein: a headmaster named Gottlieb Biedermouse seems to be tormenting his wife and children with contemplative walks in the scalding summer sun. Carl Spitzmouse believed in the positive effects of poverty. This portrait incurred the wrath of duck writers. Apparently, in barely disguised hints, he had the gall to poke fun at the serious craft of writing, even at the notion of art in general. This humorous yet moving reaction to many a scientists’ most ambitious dream, creating artificial life in a beaker, is still appealing today. 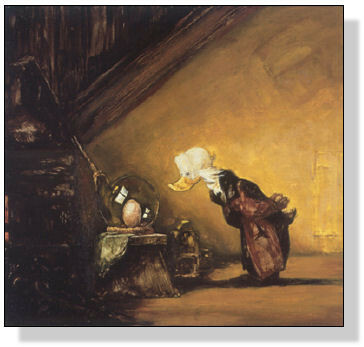 The most famous version of the painting shows the alchemist filling an empty glass with “hot air“. In this version, Carl Spitzmouse provides a more practical solution: hatching an egg in a test tube using hot air. 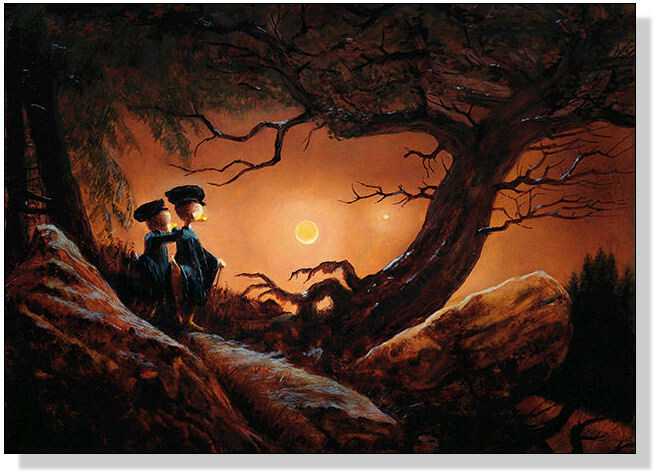 "Two ducks contemplating the moon"
This painting evokes emotions. Who is this lonely wanderer? Will the little duck be driven by wanderlust to the highest summit on Earth?